Q: My family is already paying tuition. Why am I asked to make a donation as well?A: In short, tuition dollars do not cover the whole cost of educating your daughter. Your gift supports the programs that make the Academy of Our Lady of Peace so special. This means exceptional teachers and dedicated counselors. Small classes. A safe environment where your daughter can be herself. Cutting-edge technologies. Programs that accommodate students’ learning styles and needs. Abundant course offerings in STEM and the arts. Exceptional athletic programs. Like most good things in life, the more you put in, the more you get out. When you invest in OLP, we invest in the heart and mind of 750 amazing young women! Q: How much of a difference can my gift make, really? A: Your gift has an incredible impact! Like the concept that we’ve grown up hearing, “many hands make a large task small,” so to is our collective fundraising effort. 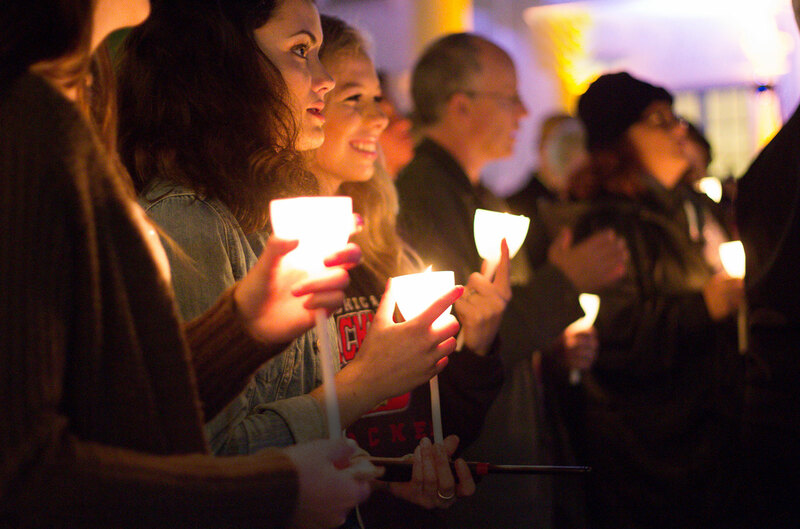 Each gift makes an impactful investment in the educational and student experience. Q: How much should I give as my annual contribution?A: Our focus for All in for OLP has always been on constituent participation at any level. Our hope is that while your daughter is a student at OLP, you consider making the school among your top 3 philanthropic priorities.